Some Companies Talk a "Big Game"... We Simply Get It Done! Premier has assembled a 'dynamic' team of employees that have a tremendous amount of experience within the interior sector of the automotive market. PI is deeply involved in new technology so that we can maintain a competitive edge and provide quality at its highest level. We strive to maintain best-in-class service while continuously looking for opportunities to deliver improved value, efficiencies and reduced costs. Each team member is committed to contributing to the success and growth of our customers' business and expressing the importance of our partnerships. Our Engineers are committed to provide effective 'solutions' regarding NVH/BSR; plus sealing out water and dust penetration. 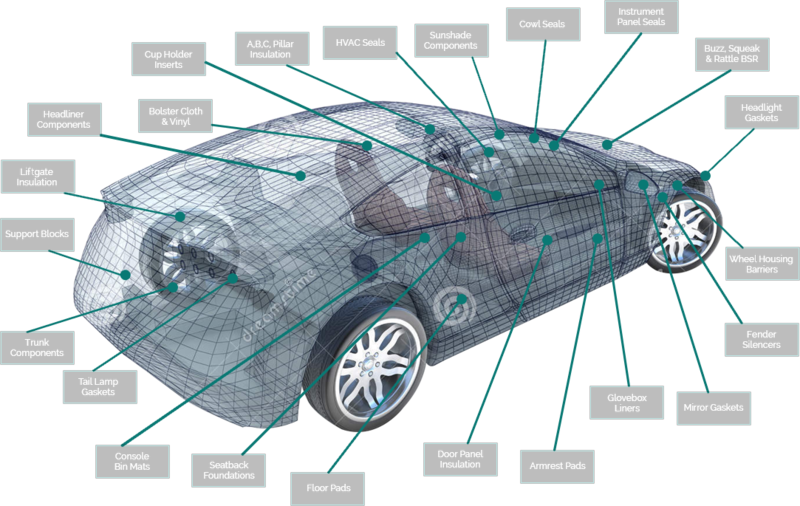 (NVH=Noise, Vibration & Harshness. BSR=Buzz, Squeak & Rattle). Our logistics department communicates directly with the customers regardless of the load size or destination. We provide an advanced shipping schedule confirming delivery and times suitable to your needs. 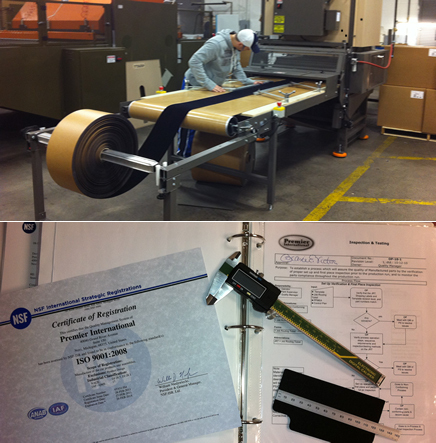 Premier international has been ISO 9000 registered since 2006. Our Quality Management System (QMS) allows our entire organization to promote continuous improvement ideas that may improve our policies, procedures and processes. This type of open communication keeps everyone within the organization involved and stimulates a healthy work environment. Continuous improvement has allowed Premier International to remove waste, minimize development costs and improve productivity with the focus of delivering superior quality to our customers. Premier International is a service oriented company that continually shows our customers that they come first. We value our partnerships and that is why our customers keep coming back. Premier International is committed to providing its customers with the best quality product at a fair market value with on time delivery, maintaining a safe & healthy environment for its workforce, optimizing the strengths of its workforce and promoting a method of operation dedicated to continuous improvement in all its internal & external business practices.